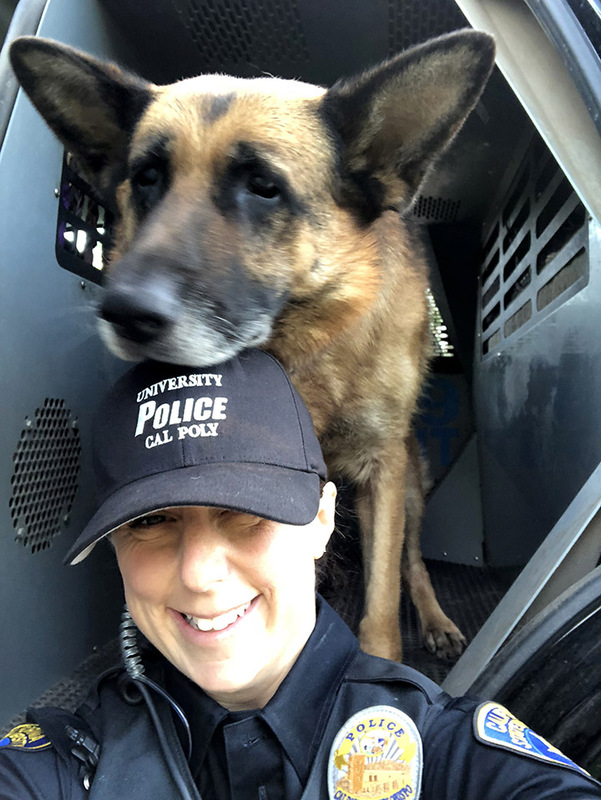 SAN LUIS OBISPO — The Cal Poly University Police Department is retiring K-9 Xello, and welcoming K-9 Zeus. 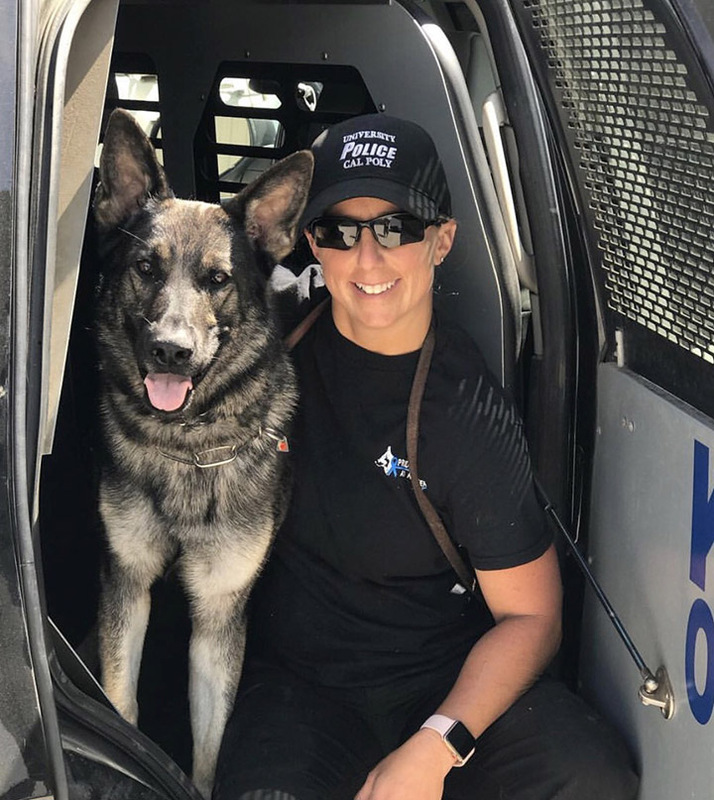 Xello, who has spent the last seven years serving the community, will be honored on July 25 during a private retirement ceremony with the department, friends and his handler, Officer Stephanie Pipan. Xello, a pure-bred German shepherd, has been on patrol at Cal Poly for the last two-and-a-half years, following four-and-a-half years with the Morro Bay Police Department; he has spent his entire career beside Pipan as his handler. During that time, he assisted in numerous drug investigations and his tracking skills were used to locate small children who wandered off, and adults who were attempting to evade arrest. According to Pipan, 10-year-old Xello will become a house dog, enjoying all the comforts of home — without the stress of going to work. This will include nightly walks, playing with household family pets and taking random car rides. 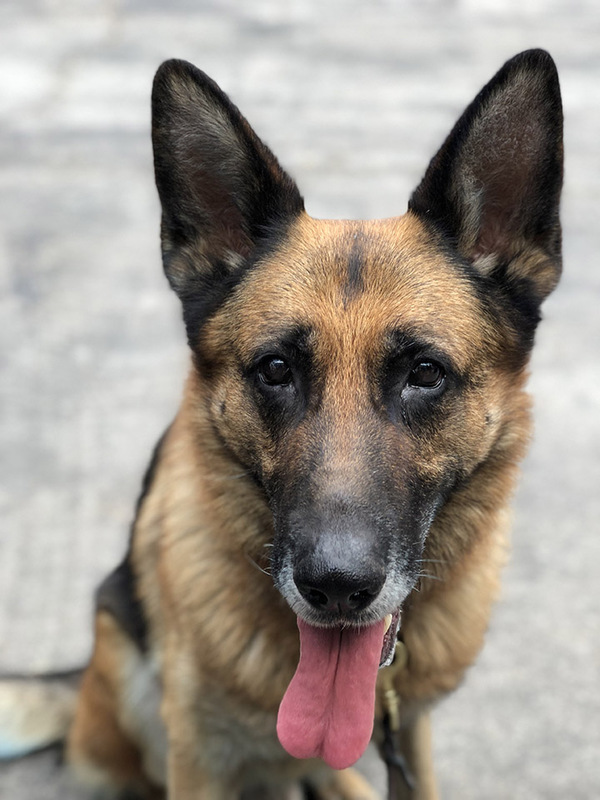 The department is welcoming his replacement, K-9 Zeus, a 2-year-old German shepherd who has been trained in explosives ordinance detection (EOD). This training equips K-9s to sniff out numerous explosive-based chemicals and compounds, as well as guns and ammunition. Pipan will serve as Zeus’ handler. The pair has trained together for several weeks to develop the skills needed to become a certified EOD K-9 team. These teams regularly train with other local agencies and are used to inspect office buildings, classrooms, lecture halls and various other venues and sensitive locations such as stadiums, prior to sporting events and graduation ceremonies. Zeus’ first day on the job will be July 30. Zeus will join K-9 Brisant and handler Officer Chad Reiley as part of the University Police Department. Xello, who has been on patrol at Cal Poly for the last two-and-a-half years with Cal Poly Officer Stephanie Pipan. Cal Poly Officer Stephanie Pipan with Xello. Officer Pipan with Zeus, who will succeed Xello on July 30.